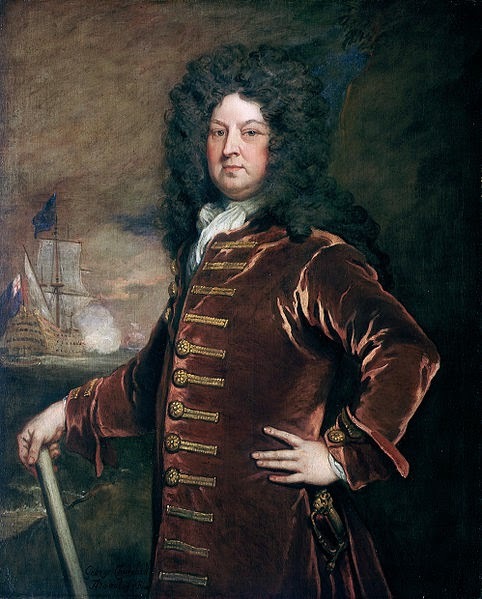 Should you be planning to attend our costume tea, on 21st June from 11:00-3:00, please be assured we are assiduously attending to your every need & comfort. I have personally inspected the premises and am pleased to inform you that we are prepared to welcome you heartily to our home. For those traveling a distance, I have set aside one of my best chambers for you to attend to your wardrobe and associated finery. We will serve tea, hot & cold, and an assortment of tea cakes and breads. My domestic staff will be available to provide tours of our home (and I must once again let you know that my smalt chamber is the envy of many.) They have placed chairs for your comfort inside, or, should we continue with such fine, fair weather, you may want to settle in the garden. Please contact my Factor, Jeffrey Hopper (day of event only) should you need assistance. Patriotic Shoes: Made from Fragments of an American Revolution Flag? 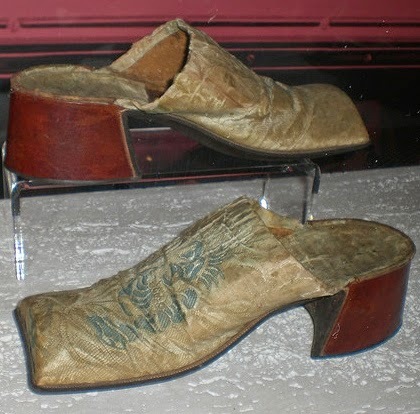 Are these shoes tied to the American Revolution, fabricated from a piece of a banner, flag or standard ? 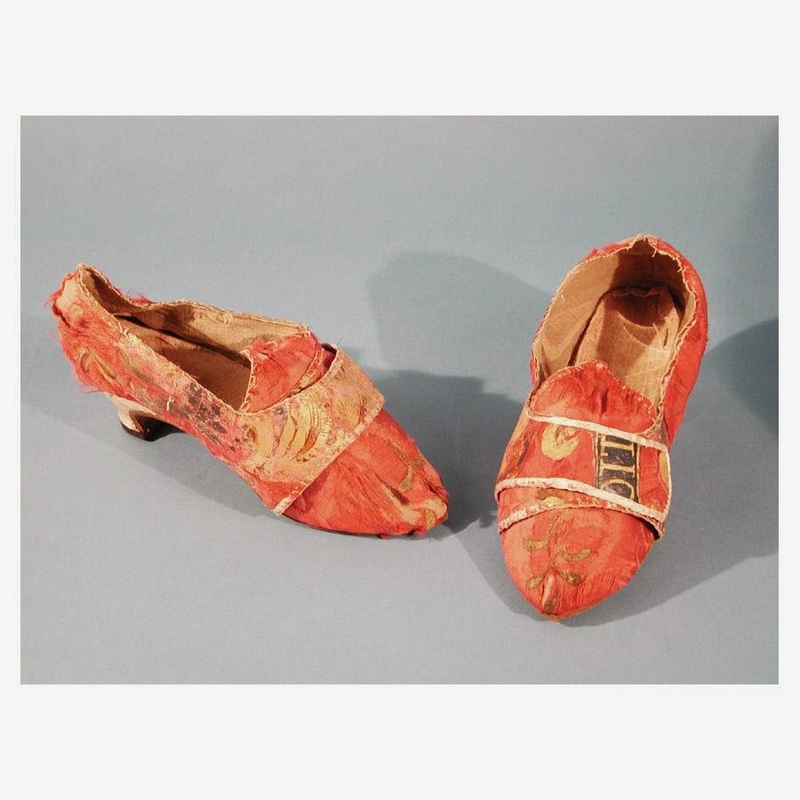 The Connecticut Historical Society notes that in their records "these shoes were made about 1780, from a military flag carried in the Revolutionary War." The maker is unknown. Presented to the Society by Mrs. Horatio Fitch, both her family and her husband's could have had ties to the Revolution. The uppers are crafted from red silk damask and painted with highlights of gold and black, with discernible letters "OIT" on one shoe and "N" on the other. Decorative swirls also comprise the detail. Lachets would have buckled across the vamp. The interior is lined with linen. They are hand stitched and, as noted in the Society description, the edge was hastily whip-stitched. This may indicate that the shoes were made up quickly for a special commemorative event. 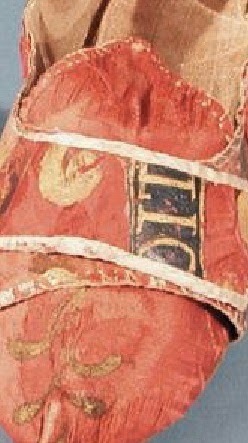 The materials are typical of those used for banners of the time. Indeed, just a few years later, during President George Washington's Boston visit (October 1789, more: George Washington & the Cordwainers), the procession banners of the trades were made of painted silk. The diminutive heel is covered in a white damask, adding a contrast with the red silk. 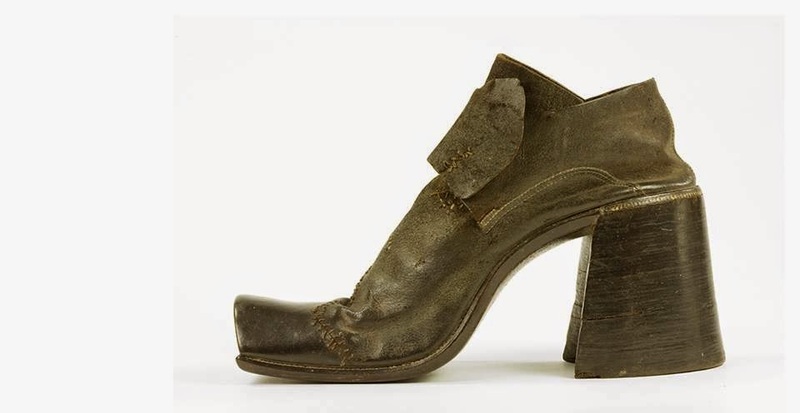 Given the dimension and angle of the heel, it seems appropriate to the 1780s. The length of 8 1/4 inches corresponds to a women's size 4.5 or 5 (USA) today. 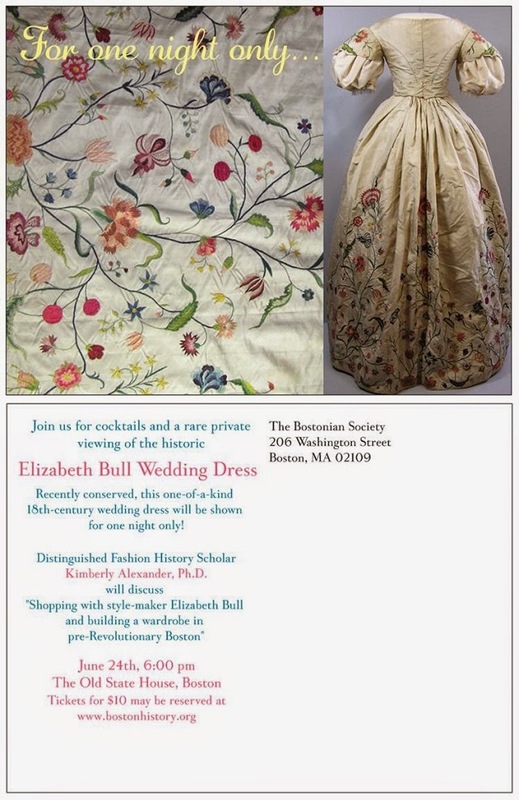 Join us as we discuss the recent conservation of and the context in which Elizabeth Bull (Price) created her wedding dress in 1730s Boston. We will also take a quick (virtual) shopping spree through the city's commercial core, exploring what was available to her as a leading style-maker. ‘A stage-coach sets out exactly at six from Nando’s coffee-house to Mr. Tiptoe’s dancing-school. And returns at eleven every evening, for one shilling and four-pence. Knob has a point there (intended), in an age of colonization isn’t acquiring space of paramount importance at all levels of society. If Knob wears high-heels and towering periwigs, isn’t he colonizing his social space, albeit temporarily? In a questionably upwardly mobile society, social space may be a limited but accessible playing field. As far as that goes isn’t Knob’s paramour, Mistress Tinder Box, doing the same thing with her panniers and hoops? In hindsight we may look askance at the backwardness and constraints of our ancestor’s costumes, but did they? Satire only works if enough readers or viewers understand the reference, and that only works if the reference is common knowledge for that group. Someone needs to be wearing these articles of clothing often enough for the reference to stick. Clearly Steele felt that his readers, London’s clever society, would get his jab instantly. 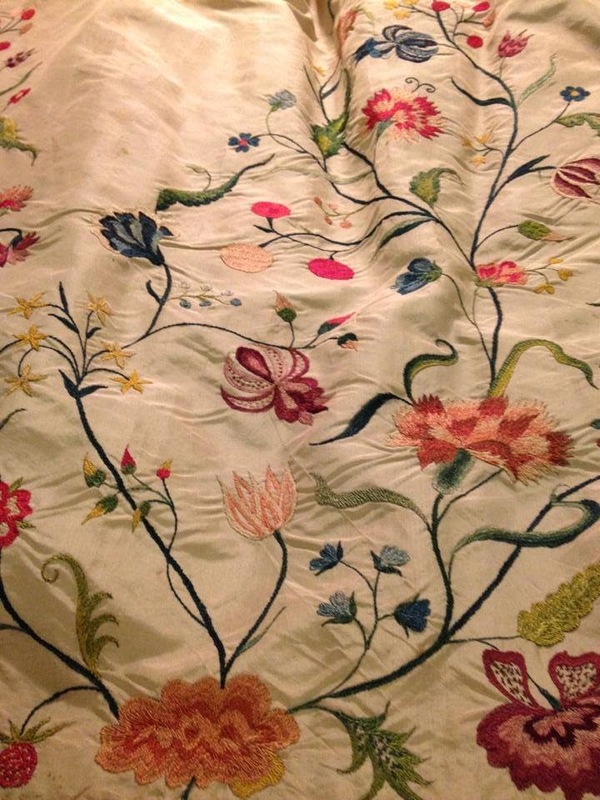 Perhaps this will be a summer of looking at wigs and heels and things that make your space, my space à la the 18th C.